Poinsettia Cluster . . .
Hello all! I apologize. . have to dash out of town very quickly for work so I am posting just the center of my card so not to miss my day. I have used the Cottage Cutz Ornate Poinsettia die. This die is great on its own as a ornate doily type cutout. . .but even better when cut up and layered. Here I have broken down the layers of my finished poinsettia. Cut the die as is, one cut with green card stock ( I used a sage green here). Than cut again with burgundy card stock. Cut all the holly and berries off the burgundy three cluster poinsettia card stock. ( you should only have the three Poinsettias). There are three dots on the die that are to be done in yellow card stock for the centers of the poinsettias, at this point glue the small and medium dot behind the small and medium poinsettia. Glue the three flower cluster on top of the green card stock. With two pieces of burgundy 2 1/2" x 2 1/2" card stock, cut two large flowers. Glue the two large burgundy poinsettias together with the large yellow center glue between them (Oreo style). Pop dot the large poinsettia onto the large poinsettia/leaves base. (the reason you double the single large poinsettia is for strength). I highlighted the poinsettia in #G94 Red Copic and the holly and vines in R46 Green Copic Pen. I added Sakura clear star pen for glimmer and last added red crystals as berries. When I return I will get it mounted to a card. . but I just wanted to get you started. This group of Poinsettias will mack a very elegant card. . . off I go. . till next week. Today I am featuring the Mrs. 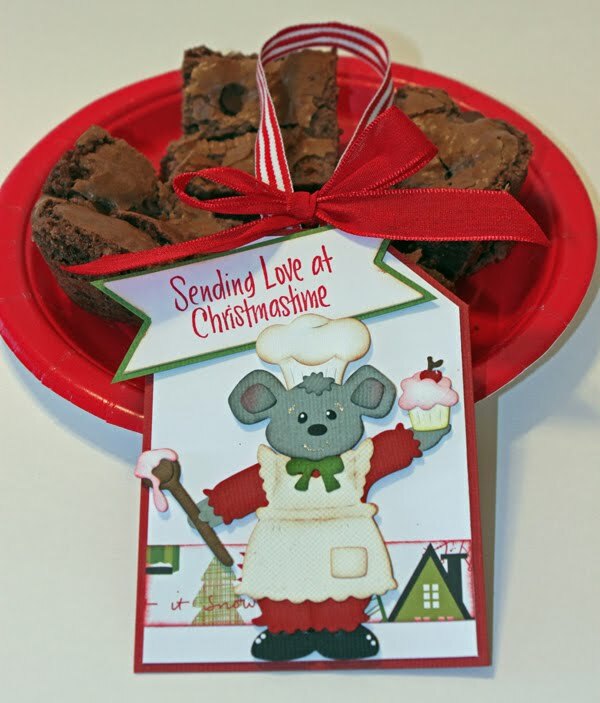 Chef Mouse on a cute little baking tag. I always give away goodies at Christmastime and my CottageCutz dies are perfect for making tags. 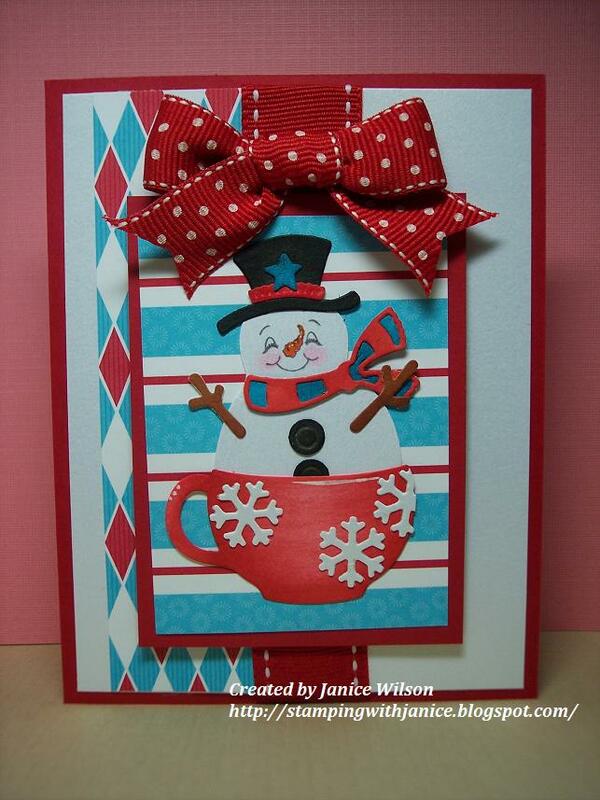 Whether it's cards or tags there are lots of wonderful Christmas/Winter designs to choose from. Hope you get some crafty time today - have a great weekend! For a little Halloween treat. Haven't the projects this week been amazing??? The new Christmas dies are simply beyond precious and I hope you've all grabbed a few of your favorites. 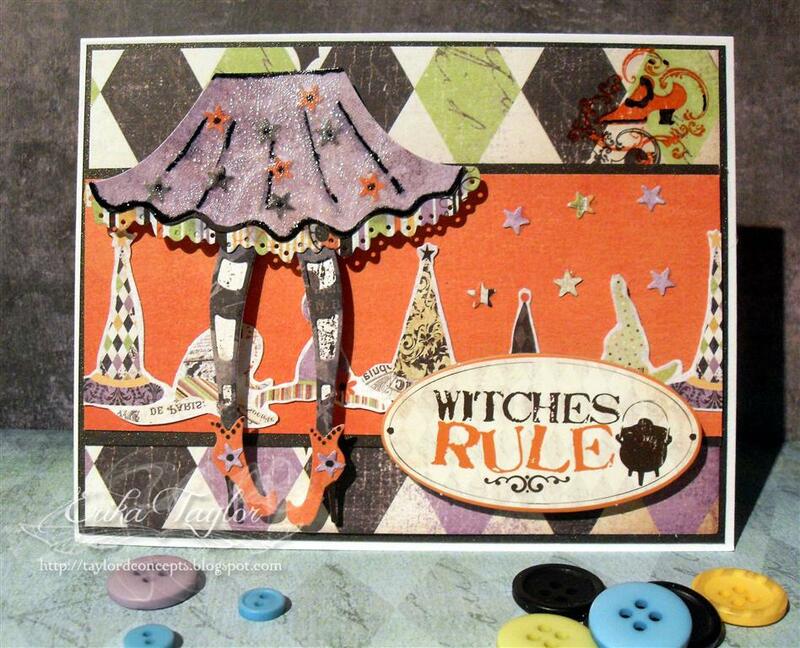 Erika Taylor here today to share with you my favorite Halloween Die. The Elegant Witch Legs die really has a tonne of options. From Witch to Barbie and everything in between. 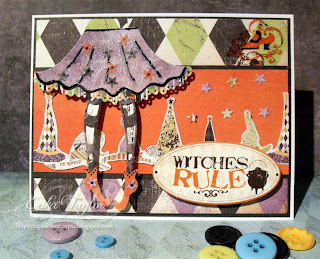 I've paired this great die up with my favorite Halloween paper collection this season. The Oct 31st line from Fancy Pants. I love the colors and the distressed look they have. I added a few small marker doodles to the skirt and the boots and then a layer of Helmar Crackle Medium to the skirt. This is the final product. I hope you like it. Hello friends! I've just returned from a really fun gathering with my Crafty friends from the Peachy Keen Design Team and Lorie and Angelica that are also on this team. Lots of great memories that I will cherish forever! 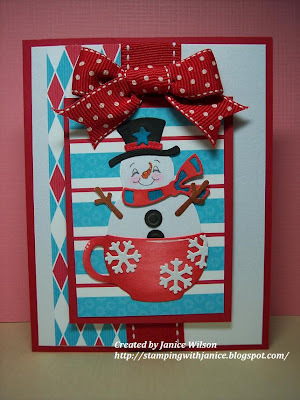 For today's card I used the newly released die Snowman in Mug available for pre-order for next shipment. I am loving the new Christmas release. I cut the die cuts from white cardstock. I wanted to use a Peachy Keen face so I traced and cut the snowman from a piece of shimmering white cardstock so it wouldn't have the details in the face. I then used Copics to color the images and mounted it on Stampin Up designer paper and cardstock. 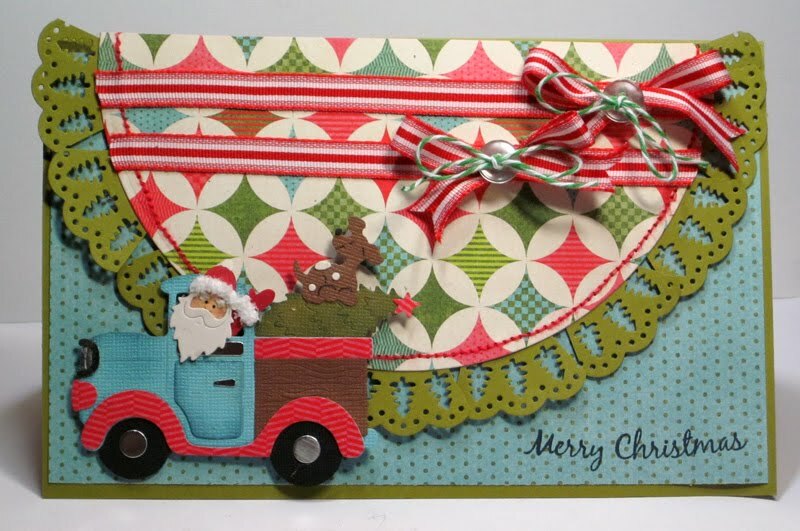 The ribbon is also Stampin Up. Expect to see more winter designs shortly. Good morning, and welcome to The Scrapping Cottage Blog! I hope you're enjoying a beautiful day wherever you are. Lorie here today with a simple and elegant Christmas card to share with you. Have you seen the beautiful Cottage Cutz dies that have been released for Christmas? Oh my goodness, are they EVER fabulous!!!! Now, I am a big fan of coloring, and using many different mediums for coloring, from watercolor, to Copic markers, to paint, but once in a while, I like to create a card that is quick and easy, but looks like I spent a lot of time on it. Simple elegance is how I like to describe those creations. 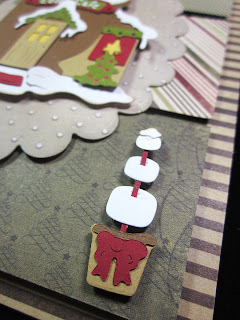 Here's what I came up with using the Snowflake Ornament Cottage Cutz die, and I've included a little picture tutorial so that you can see how I put it together. These little honeycomb type cards are so much fun, and the three dimensional effect is so showy. 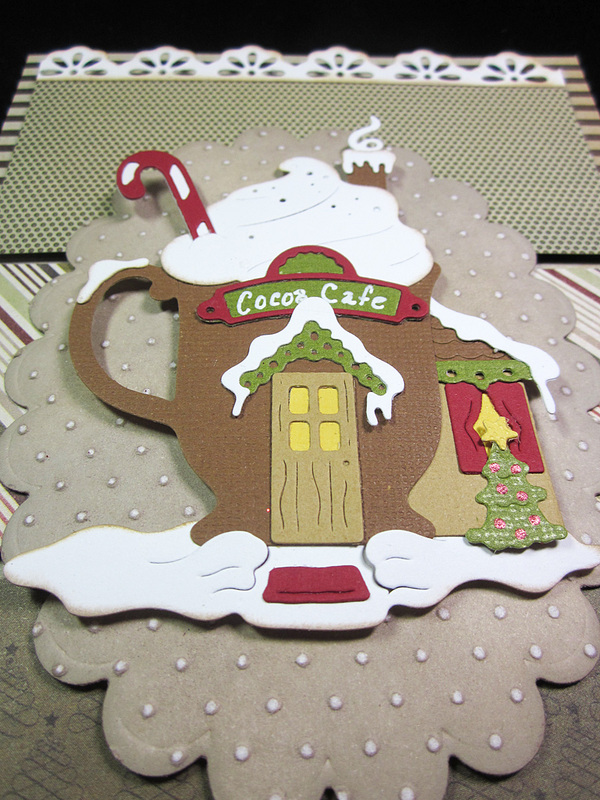 To begin this project, you will need to cut 5 of the ornaments in your choice of card stock. I used a metallic silver. Place the cut ornaments on a scoreboard, and score right down the center. As you can see, scoring at one inch worked perfectly. Once you've scored and folded all the pieces in half, the you can start gluing them together. Start by placing adhesive on the left under side of the first ornament, and gluing that to the right under side of the second ornament. Keep going until all 5 pieces have been glued. You should have the left under side of the first piece, and the right under side of the last piece free from adhesive. You will add adhesive to those when you're ready to put the ornament on your card. The finished 3-D ornament. Gorgeous!! I did take a Zig Painty pen and color the top with a bit of gold. 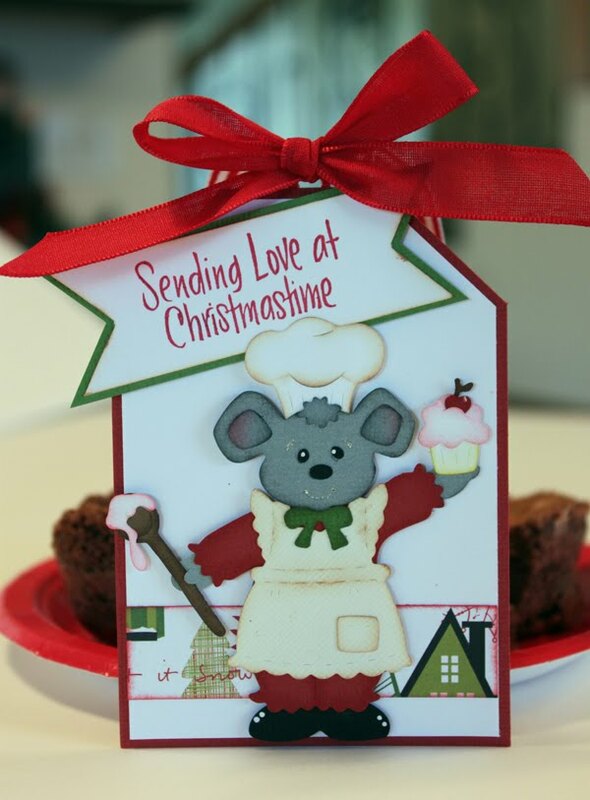 Apply adhesive of your choice to the back side of the ornament and secure to card front. VOILA!!! One completed very simple and elegant card!! Wouldn't these make wonderful ornaments for a mini tree? You'd need to add a couple more cut ornaments to allow them to come full circle when you glue them all together, but that would work great. 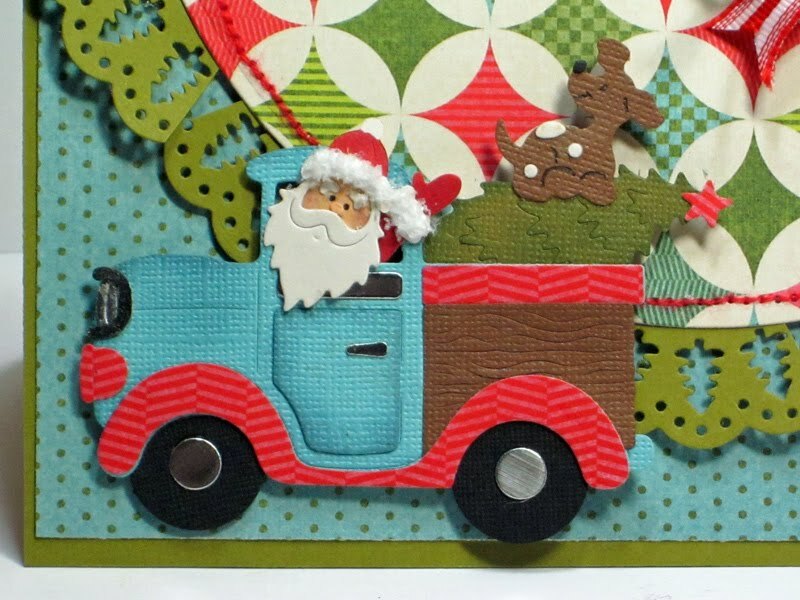 Santa Clause is coming to town, and he's driving his favorite old truck! Thanks to the latest release from Cottage Cutz dies! My adorable Santa 's Truck with Tree die is in the store for pre-order now. And just think how cute this little truck will be for any time of the year! 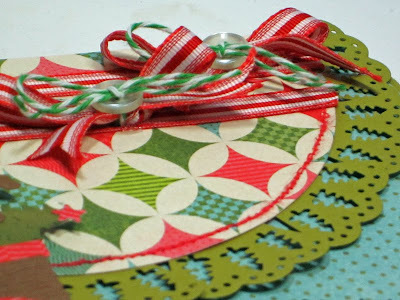 And with a little ingenuity, I used the Holiday Doily die to add a border to my circle. Finally, a "borrowed" the sentiment stamp from the Boxwood Vine Wreath set, so I could wish you Merry Christmas! 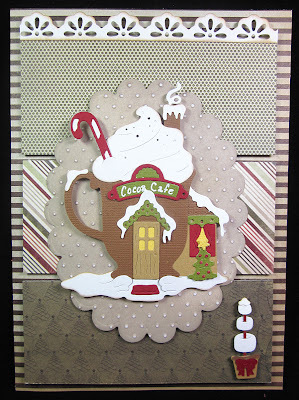 I'm so excited to share a sneak peek of one of our new Christmas Dies that will be coming out soon. Hot Cocoa Cafe is so detailed it's just darling and honestly you don't need anything else on a card to make it a WOW project. I topped off my card with the Scallop Three Edger, it blended in just pefect. One of the great things about our dies is on many of them you can use all or part of the design or just a portion. I used the whole die for this card but wouldn't the little marshmellow tree be adorable all by itself. 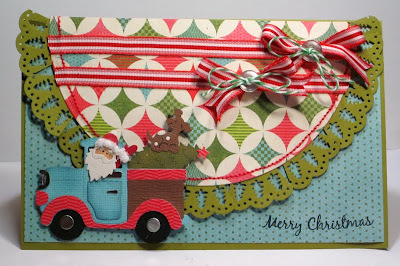 Angelica here, and today I have a sweet and fun way to use the soon-to-be-released Cottage Cutz Christmas dies from The Scrapping Cottage! I have so many awesome ideas for these Nativity characters, especially since my 3 1/2 year old daughter is starting to really enjoy Bible stories, learning about Christmas, and why we celebrate it. 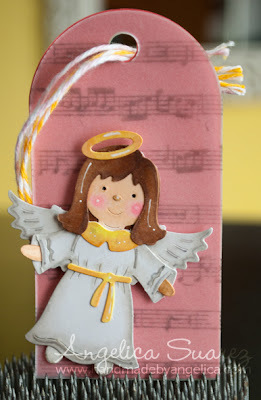 The first idea I'll be showcasing from this Nativity Angel set is a gift tag that has limitless possibilities! 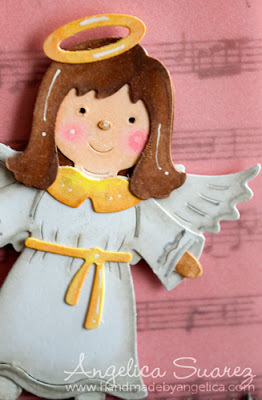 I took the die cut angel and colored her with Copic markers. I loved that she was just the perfect size for this small, arched tag. I went ahead and cut out two tag shapes - one in a pink cardstock and the other in a transparent vellum. I stamped a music background stamp over the vellum in Memento London Fog ink. I wanted the music to be noticeable - but subtle, so grey ink was the perfect choice. I finished the tag off in pretty Lemondrop and Blossom twine. Have you seen this sweet die yet? It's being released soon, and you can still get it at great pre-order price! Here are all the dies in the release - I LOVE them all!!! Hello everyone and Happy Saturday to all! Cheryl here with a sweet Pumpkin Peeker Halloween Candy Tube that i made using the DARLING Cottage Cutz Dies. Right now im laid up in bed after i had my ankle surgery, I had 2 plates and lots of screws put in to hold my ankle in place.Next week i get my stitches out and hard cast put on, woohooo!!!! So while im in bed ive been starting to slowly craft this week and it feels sooo good!!!! I wanted to use the sweet frog from the Cauldron Peekers Cottage Cutz and the pumpkin from the Trick or Treat Puppy Cottage Cutz. For my frog i cut him out using a light green card stock, and then black for his hat, and orange for his moon. The purple band was white, and i just colored it. The pumpkin was dusted using the tim holtz ink and a duster, i do have a video on how to do this technique here. The tubes i bought out of the bead section at the craft store and used it for the candy instead. I added some funky halloween lace to the back of my cottage cutz piece, and then hot glued to the tube. for the top of the tube I tied on the polka dot ribbon and then added a double bow to it. lastly i added a pumpkin sticker to my bow. 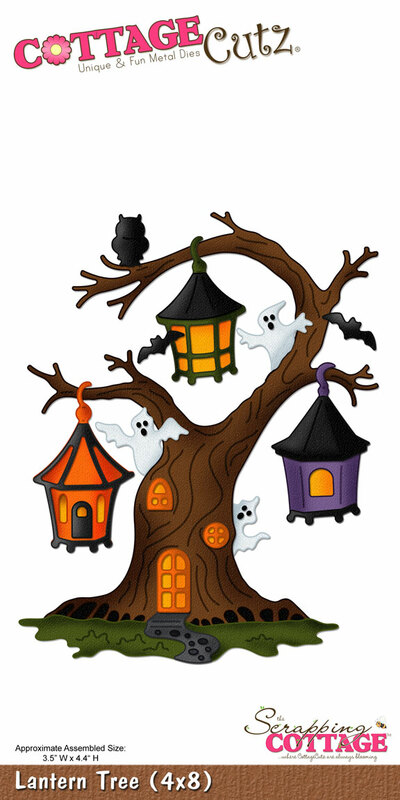 I hope you enjoyed todays post with using the Cottage Cutz Halloween collection found here. Have a lovely day!!! Hello from Sunny Singapore once again , everyone ! inspiration that we've been featuring for the past month. inked up 2 bats with distress ink in purple for a pop of color . 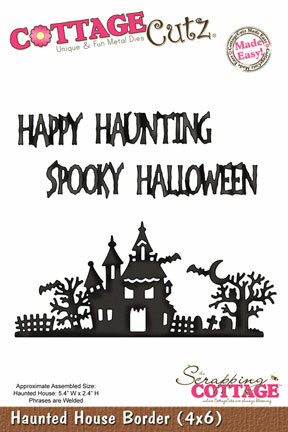 The Haunted House border was diecut using self adhesive cardstock. I've used patterned papers here from My Little Shoebox's Trick or Treat line. with different die combinations in our Halloween release . here on our blog in the following days ! and I'll be back with Christmas projects the next time ! 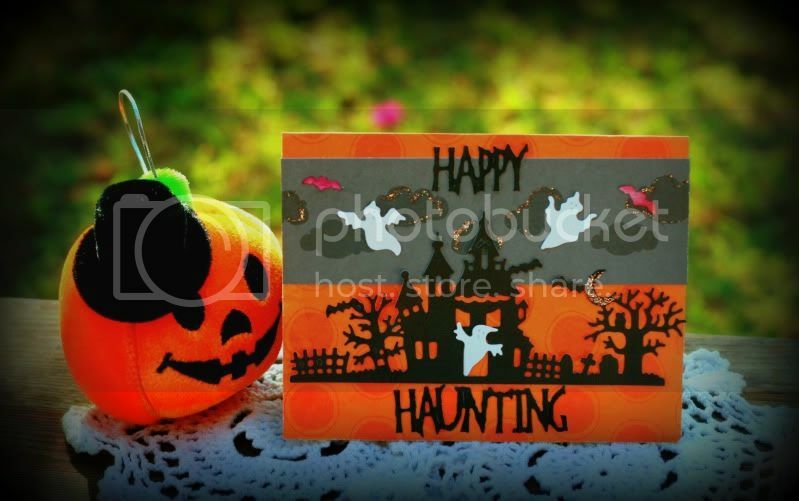 This week I have a couple Halloween cards using the Cottage Cutz Spooky Iron Shelf and Haunted House Border (for Happy Halloween title) dies. The first is using all the parts that come with the die. The wrought iron looking shelf, jar of bones, two books and skull candle. I also took the bones that are used in the jar to make a border on the card. The eyeballs were done with a 1/4" and 1/8" hole punch, colored to look like bloodshot. 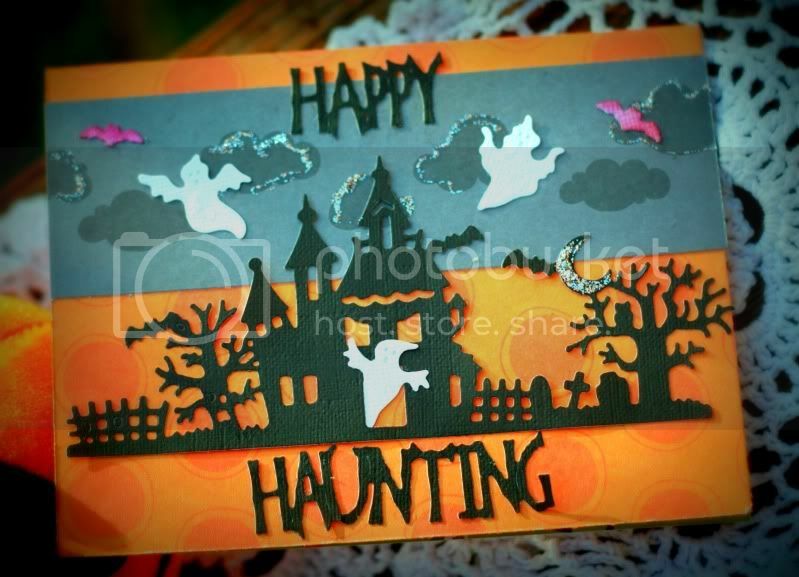 The second card I used two Cottage Cutz Halloween dies. The Spooky Iron Shelf (the shelf, jar, and two books). Cauldren Peeker die (the peeker frog). The peeker frog comes with a head, hat and two front feet. I needed the frog to show a bit of body behind the books (he's a bit chunky, he really is not comfortable talking about it!). I took the face and flipped it over (shown in darker green). to create a rump and added another front foot to be his back foot. It worked really well. On both cards I need labels on the books and jar. I used my Dymo Letratag maker with clear tape to make the labels. I have showed you the sizes on the machine. In this case I needed to use the VERY SMALL setting for all the labels. By using the clear tape you are able to use any color card stock. I am really excited to be able to follow Kay with another Sneak Peek of Cottage Cutz Christmas #02 release. You will have to wait juuuuust a bit longer, but it will be well worth the wait. This is a two part die, the first is the Cottage Cutz Snowglobe, it is a 4x6 die with a snowglobe with bow. This globe can be used for any holiday or event. Just think of a Halloween globe. . or an Easter globe. WOW what a lot of uses. If you look really hard on the package you can see you can also use it as a Gumball Machine (yes there is a couple circles on the die just for gumballs). The second Cottage Cutz die is Snowglobe Winter Accessories. This die has three groupings that can be used in the snowgloge die. A Santa with sign, A Snowman with tree. . and the Penguin fishing on Ice Cube (that is the first one I tried first). You can mix and match any of the accessories. I will be featuring several other techniques for the snowglobe throughtout this month. 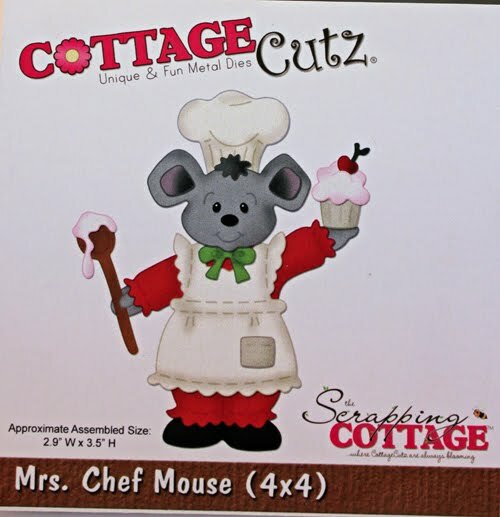 Keep checking back. . there are several more sneak peeks coming from some very talented Cottage Cutz Design Team members.